Instagram has become the photo app to rule them all. With its hipster-friendly filters and lack of in-app purchases, it’s made a fan out of smartphone users everywhere with its simple, addicting photo feed. Whether it’s Instagram’s aesthetically pleasing platform, its catchy name, or maybe a combination of both, the app has spawned a series of takeoffs playing up what it has to offer. There are plenty of Web apps that will take your Instagram feed to the desktop (Extragram, Instagrid, Instagallery, to name a few) but these innovations take it a step further. Check out our favorites. 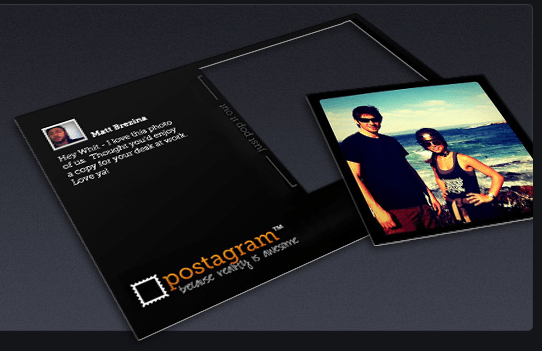 In order to truly appreciate Postagram, you must have a certain respect for things of the past. Pair that with the undeniably eye-catching photos Instagram creates and an appreciation for nostalgia and you get Postagram. The app simply grabs your Instagram images from the web or your iPhone and creates a personalized postcard (in a very Twitter-like move, you’re limited to 140 characters) complete with a high quality 300-dpi printed photo that will land in the designated mailbox in two to five business days. The app is free but here’s the catch: The customized postcard will run you $0.99. If you love Instagram so much that you wish there were some sort of iPhone-free machine that spit out your lovingly filtered photos, have we got the item for you. 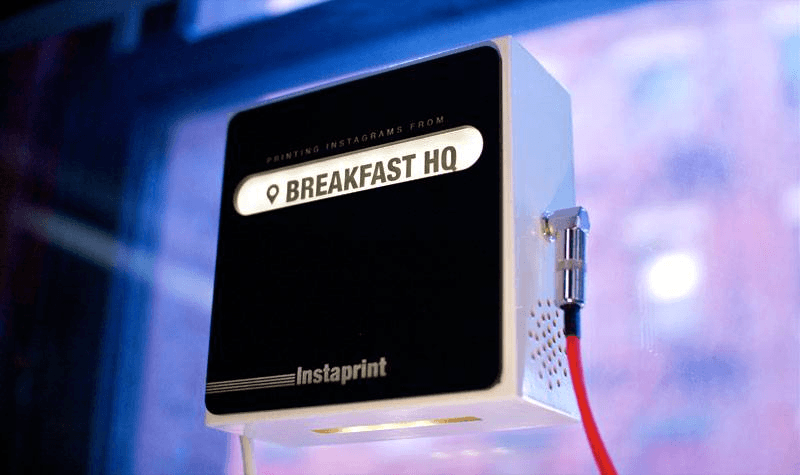 Instaprint is a physical box that is preset with its location and a hashtag of your choice. Any photo uploaded to Instagram with the matching location or hashtag will be printed Polaroid-style from the box. The idea is to create a sort of “Internet age meets the photo booth” device, and it’s marketed as being perfect for large events that people are sure to be using Instagram during. And if they weren’t already, the lure of the Instaprint will probably convince them to. Instaprint is still in the prototype phase and being rented out for events – at around $5,000 for a couple printers and staff support. So it’s a little early for the average consumer to get excited, but it’s still an intriguing concept use of Instagram. This is perhaps the most innovative of the Instagram takeoffs. 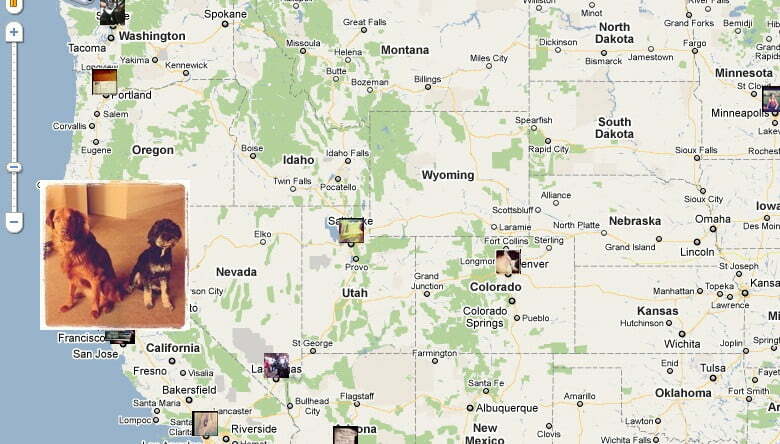 Mapstagram combines the app with Google Maps and pulls up a cross-country rolling of real time Instagram users’ photos. The site currently includes feeds from 29 major cities and allows users to control how fast or slow the image updates come up. Give it a shot: Upload your own Instagram photo and watch it pop up over your city. The site works by subscribing to Instagram and pulling users’ geolocation coordinates. It then queries Instagram for that particular photo and sends it to its feed. There’s a slight Color element here – watching stranger’s photos in your area as they take them. But it’s significantly less creepy.